Home Announcements	You Don’t Want to Miss This Convention Deal!!!! You Don’t Want to Miss This Convention Deal!!!! You Get an Upgrade! You Get an Upgrade! Everyone Gets an Upgrade! New this year, in a larger and more flexible convention center, we are increasing the amount of presentations and hands-on workshops and opening them up for all of our tech-loving, future-transforming attendees. That’s right – no more Basic and Premium registration. All attendees are receiving Premium status to attend an unlimited number of presentations, hands-on workshops, panels, and interactive learning sessions. 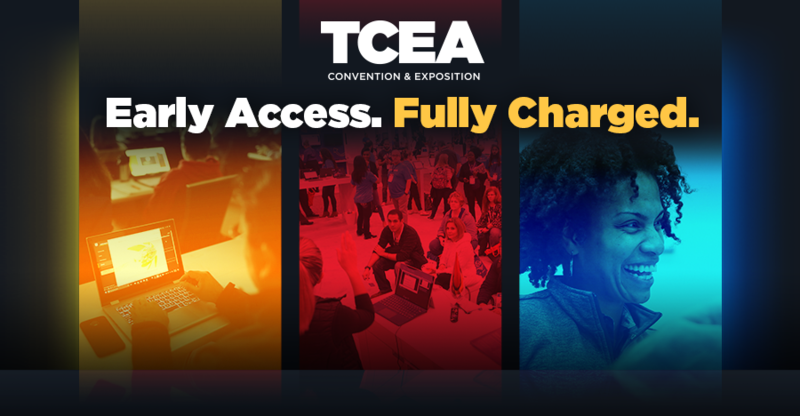 TCEA’s exhibit hall is THE destination for CTO’s, superintendents, and campus leaders to explore everything from furnishings for innovative learning spaces to software for managing day-to-day tasks to transformational tools for improving campus and district student success. Because of this, thousands of innovative educators register for an “expo only” pass and spend hours in the hall. This year, we’re inviting those of you who can’t make it to the whole event to dip your toe into the full convention experience by including up all Friday sessions for you to attend as well with your Exhibits Only pass. Yep, that’s right, I’m excited about the increased funding for professional development available from the Every Student Succeeds Act. The money allocated for ESSA can be used this year to attend a conference with a focus on successful technology integration (like ours). You can read Jennifer’s post on ESSA here and follow her all year long for updates on legislative activities. With increased funding, you can bring all of those educators to the conference and ensure that transformational learning takes place on your campus. In 2019, We’re on a Mission, 24/7, to Engaged Learning. No, really, we’re on a mission. Did you know that San Antonio is home to four other missions besides the Alamo? The historic features of the city, combined with the architectural beauty, really do make this one of my favorite destinations. If I had to encourage you to make one stop outside the convention center, it would be to The Saga at the San Fernando Cathedral in the historic Main Plaza. 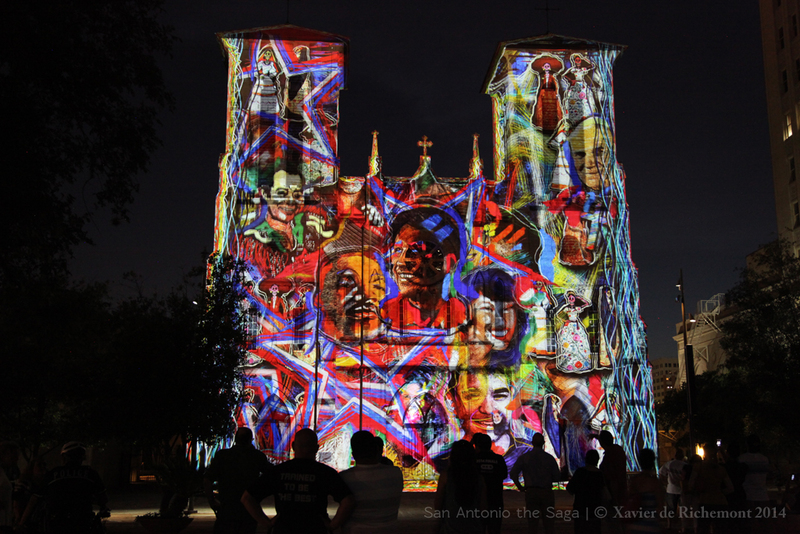 The 24-minute laser light show projected against the cathedral uses every inch and curve of the building to produce a memorable experience. It happens every Tuesday, Friday, Saturday, and Sunday at 9:00, 9:30, and 10:00 p.m. Oh, and it’s free. Former San Antonio Spur Tim Duncan Is Our Opening Keynote. Okay, this is not true. It’s my wishful thinking for my dream conference. And, clearly, the Admiral himself would be the closing keynote. A Spurs fan can dream! For the first time in TCEA’s long history, we are opening registration in advance for a very limited time with a super early discount rate for those of you who, like me, who can’t wait to start planning for the 2019 TCEA Convention & Exposition. May 1-31 you will be able to register at the super early rate of $269 (and that’s for all the workshops, presentations, exhibit hall, interactive features, and panels). No discount code is needed, but the reduced registration price ends May 31. Registration will reopen on September 13 at the price of $289. You can subscribe to this blog for future updates (see the big red box to the right), follow @TCEA on Twitter, or like us on Facebook. May 31: Call for Presenters Closes. Join the league of ed tech educators sharing leading trends in pedagogy, educationalleadership, and technology best practices. TCEA payment policy requires payment to be received within 30 days or your registration may be canceled. If paying by purchase order, a copy of the purchase order must be received within in 30 days and we ask that check payments on purchase orders be received within 90 days.